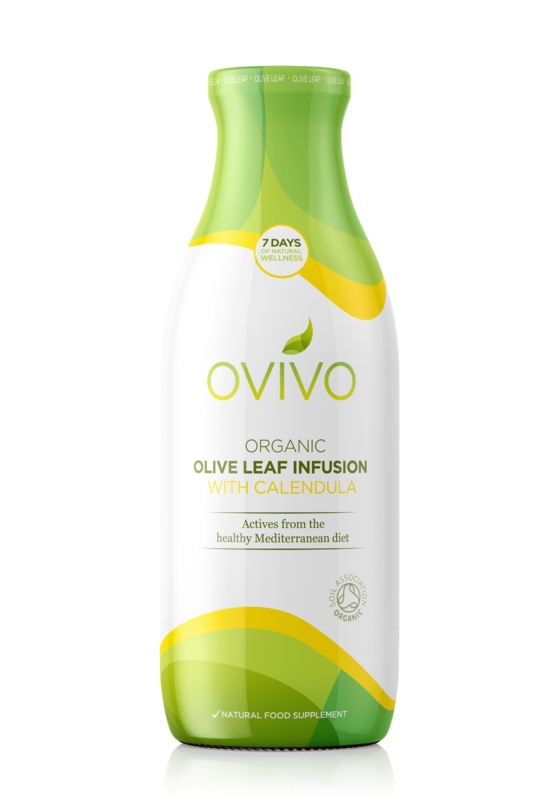 The results of a new research review highlighted by OVIVO, a new antioxidant, Organic Olive Leaf Infusion drink, has revealed that the olive leaf has even higher levels of healthy antioxidants than previously thought. The new paper reveals the health benefits of the plant compound hydroxytyrosol — one of the most powerful naturally occurring antioxidants known to man. Hydroxytyrosol is found in olives and olive oil, but the highest concentrations occur in the leaf. This is also true of oleuropein, another potent plant compound which also has proven antimicrobial, antioxidant and anti-inflammation activity. Although most olive leaf extracts are standardised to ensure a set level of oleuropein, only one — OVIVO Organic Olive Leaf Infusion with Calendula — works to deliver a dose of hydroxytyrosol. OVIVO Organic Olive Leaf Infusion also has up to 30 beneficial plant compounds and phytochemicals found in the Mediterranean diet in one handy, concentrated dose. The research was reviewed on behalf of OVIVO by Dr Pamela Mason, an expert nutritionist and chair of the Government’s Advisory Committee on Borderline Substances (an advisory committee which reviews foodstuffs such foods that are specially formulated for people with medical conditions), who suggests the dynamic duo of hydroxytyrosol and oleuropein may hold the key to many of the health benefits associated with olives and the Mediterranean diet. A double-blind study found a twice-a-day 500mg dose of olive extract was as effective as an ACE inhibitor at reducing both diastolic and systolic blood pressure, but unlike the prescription-only blood pressure pill, the extract also significantly lowered levels of dangerous triglicerides. A trial investigating the impact of olive leaf extract on blood sugar control reported a significant improvement in insulin sensitivity after just 12 weeks, while a study in patients with type 2 diabetes found the extract improved insulin levels and reduced HbA1c, a marker associated with a greater risk of diabetes-related complications. Nutritionist Dr Emma Derbyshire agrees: “The study highlights the advantages olive leaf extract can bring to our health and wellbeing when introduced to our diet. We’ve known about the health benefits of olive oil for a long time but this new research confirms the importance of hydroxytyrosol and oleuropein and their power as an antioxidant. “EFSA has ruled that olive products must provide a minimum of 5mg of hydroxytyrosol a day to show antioxidant activity and qualify to carry health claims relating to cholesterol benefits, but the Authority warns that some olive oils may be too low in the antioxidant to reach this target. OVIVO Organic Olive Leaf Infusion delivers hydroxytyrosol — one of nature’s most potent antioxidants — and up to 30 beneficial plant compounds and phytochemicals found in the Mediterranean diet in one handy, concentrated dose. The no-fuss infusion is made from 100 per cent organic ingredients including freshly picked olive leaves (from Italy), soothing calendula, grape and lemon juice and spring water. All ingredients are non-GM and pesticide free. Each 500ml bottle delivers seven days of natural wellness in 70ml shots, and because there is no added sugar and only a trace of fat, each dose contains a mere 13kcal. OVIVO Organic Olive Leaf Infusion can be drunk neat, or mixed with fruit juice of smoothies. For something more sophisticated try mixing four shots of OVIVO with 100ml of elderflower cordial, 700ml of sparkling water and crushed ice. 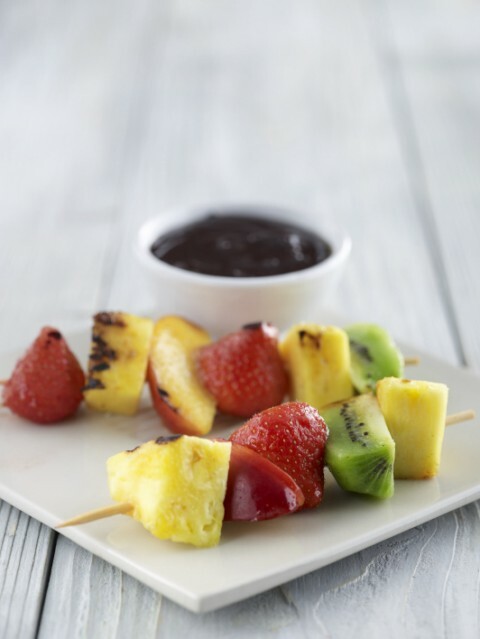 Serve with mint leaves and wedges of lime for a delicious aperitif bursting with antioxidant action. OVIVO Organic Olive Leaf Infusion is the brainchild of British couple Dom and Susan White who have lived in Italy for 15 years and have two children who were born there. They founded the business in 2011 after hearing stories about the remarkable health benefits of olive leaf infusions and years of experimentation to perfect their infusion process. They are now on a mission to spread the word about this natural way to wellness and fund further research into the potent plant compounds and phytonutrients which give olive leaf extracts an edge over other antioxidants. OVIVO Organic Olive Leaf Infusion costs £13.99 for seven doses and is available from selected Boots stores, Wholefoods, Holland & Barrett and independent health stores in the UK and Ireland. 1. Use a sharp knife to cut slashes in the fish skin. 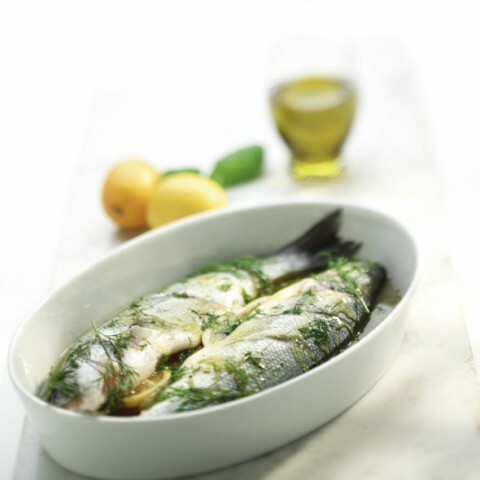 Mix the oil, lemon juice and half the dill together in a shallow non-metallic dish. Push the lemon slices and remaining dill inside the fish cavity. Place the fish in the marinade and spoon the juices all over and inside the fish. Cover and leave to marinate for at least 2 hours in the fridge, turning the fish at least once. 2. To barbecue, lift the fish from the marinade and place on a large piece of foil, fold over the foil and scrunch the edges to seal and make a tight parcel. 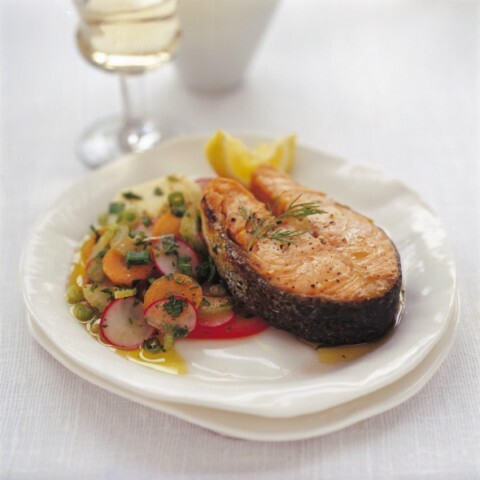 Cook the fish over hot barbecue coals for 15-20 mins, turning once until the fish flakes easily when tested with a fork. 1. 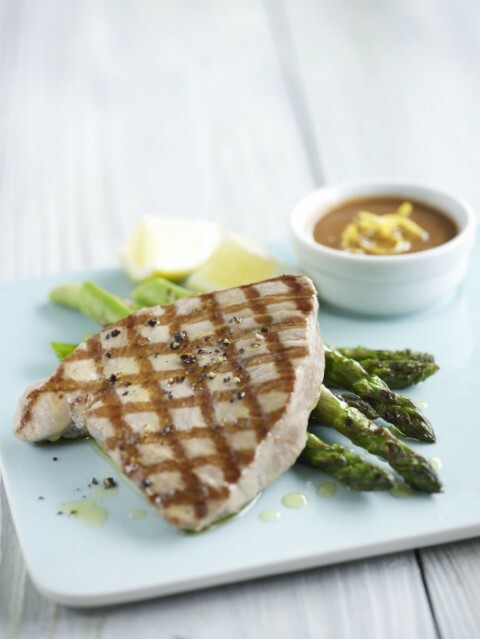 Put the tuna steaks into a shallow dish, mix the olive oil and lemon juice together with a little seasoning, pour over the steaks and leave to marinate for 15 minutes while making the sauce. 2. 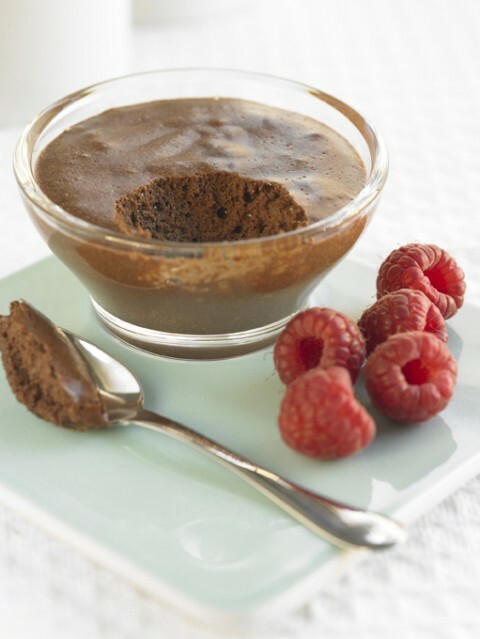 Put all the ingredients for the sauce into a blender or food processor and blend together, transfer to a pan and heat gently. 3 minutes until the fish begins to mark. Use a large fish slice to turn the steak and cook for a further 2-3 minutes, until well marked, his will depend on the thickness of the steaks. 4. Serve with the warm tomato and olive sauce. 1. Cook the pasta in a large pan of boiling salted water for 10 mins or according to packet instructions. 3. Drain the pasta and add the crab mixture, toss together. Drizzle over the remaining oil. 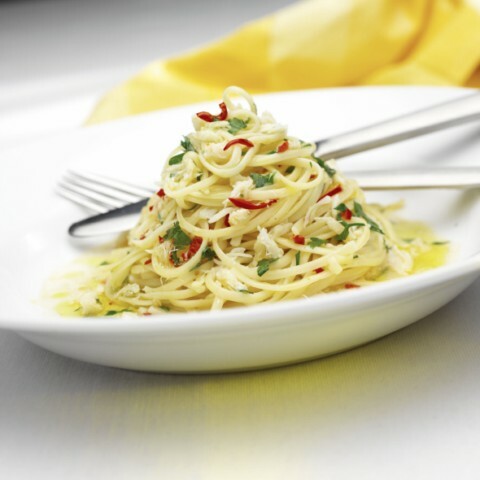 Sprinkle with chopped parsley and serve. 1. Cook the pasta in plenty of boiling water for 10 minutes. Trim the woody ends off the asparagus and cut into 5 cm (2″) lengths, place in a steamer, place over the boiling pan of pasta and cook for 5 minutes until tender crisp. Remove and set to one side while continuing to cook the pasta. 2. Meanwhile, heat the griddle pan or heavy frying pan, brush the chicken portions with a little of the oil then place on the griddle pan and cook over a medium high heat for about five minutes on each side or until cooked (the juices should run clear when a skewer is inserted in the centre of the breast). While the chicken is cooking, put the remaining oil in a bowl with the vinegar and mustard, season with salt and pepper and whisk together. 3. When the pasta is cooked, drain well then return to the pan. 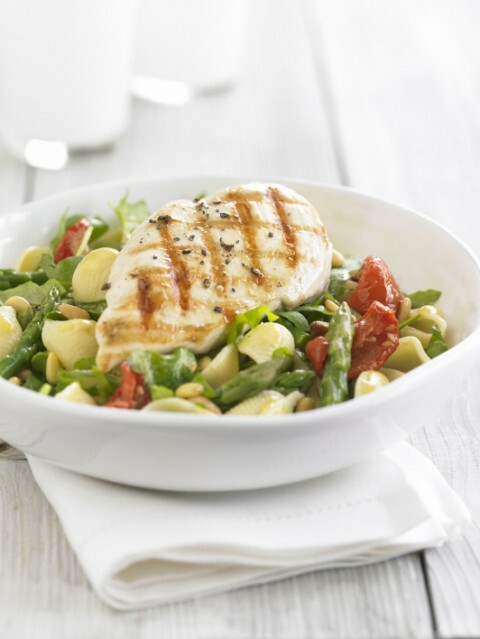 Roughly chop the rocket and add to the pasta with the asparagus, tomatoes and pine kernels, add the dressing and mix well to combine. Divide between 4 warmed plates and top with the chicken breast. For a vegetarian alternative, replace the chicken breast with cubes of mozzarella. London: Elixir has joined with Wine & Food Promotions to offer six readers the chance to win one of Marruchetone Extra Virgin olive oil’s special gift packs. Each set is worth £25 and contains two bottles of oil – one 250 ml bottle of Armonia type oil which is mellow and made from the Fantuio olive and a 250 ml bottle of Brio from the Leccino which produces a more intense flavour. This is a very special and unique olive oil pressed from olives grown on the Fattoria Varramista, a farm on the estate of one of the favourite homes of the Agnelli family, near the village of Capalbio, Maremma, Tuscany and was pressed after the autumn 2009 harvest. It is extra virgin and grown organically. It is suggested that the Armonia (mellow tasting) is used for Vegetables, fish, soups, meats, pastas (just a drop) and the Brio (intense) for salads, on carpaccio and meats. Or why not try dipping some rustic bread into the oil to taste all the wonderful flavours? Medical experts agree that olive oil is one of the healthiest oils, complementing and enhancing the beneficial nutrients in the vegetables and other ingredients of the Mediterranean Diet. So why not kick off your New Year health resolutions by sampling this wonderful and unique oil? Which part of Italy does Marruchetone olive oil come from? Please note that this competition closes on 25 January 2009. No cash equivalent is offered and the Editors decision is final. Price for case of 6: GBP 120.00, pp included. Competition Start Page – The only competition start page you will ever need, find competitions in the UK. Madrid: A Mediterranean diet that includes fruit, vegetables, fibre and healthier fats may protect against type two diabetes, a new study suggests. The study monitored the eating habits of 14,000 Spaniards over a four year period to see who developed the condition. The results indicated a 83% lower risk for those who followed the diet, the British Medical Journal reported. The traditional lifestyle of the Mediterrean includes regular exercise, but also plenty of fish, fruit and vegetables, usually cooked in olive oil, and red wine. This diet has already been shown to be good for heart health. In addition olive oil helps control blood sugar and lower blood pressure. Copenhagen: Four teaspoons of olive oil a day can help protect against cancer, says a new report by researchers at Copenhagen University Hospital. In a study of 182 European men, levels of 8-oxodG, which reflects cell damage, was measured in urine. Men whose diet included 25 militres (0.9 fluid oz) of olive oil, had 13 per cent less of the substance. The Danish team said it could explain why many cancer rates are higher in northern Europe than in the south, where olive oil is a major part of the diet. Life expectancy and levels of obesity and other diseases of ageing are lower in Mediterranean countries. The diet which is rich in olive oil, fruits and vegetables is credited with promoting good health. Rome: New research has pinned down why extra-virgin olive oil, a staple of Italian cuisine, helps the nation’s inhabitants avoid tumours and other diseases in their later years. The results of a nine-year study of Italians living in the olive-rich southern region of Puglia showed recently that they were statistically less prone to cancer and other ailments because they consumed the oil all their lives . Now researchers at the Monell Chemical Senses Center in Philadelphia have discovered precisely why this is the case . They have identified in extra-virgin olive oil a molecule which is similar to ibuprofen, an anti-inflammatory agent contained in several over-the-counter painkillers . They believe that the molecule, which they have called ‘oleocantale’, is the key element which gives olive oil its legendary properties . If assimilated over a long period of time, it can mean a person is protected from tumours and other problems that regularly crop up when a person becomes old, they say . The research, which finally offers scientific support for what doctors and nutritionists have said for years, appears in the September edition of the journal Nature . The discovery comes just five months after scientists at Bari University’s Geriatrics Department offered convincing statistical evidence that olive oil is a real ‘elixir of life’ . Unveiling a nine-year study of over 700 people in Puglia aged 65-84, they said extra-virgin olive oil clearly has a string of health benefits such as its ability to combat chronic diseases and, above all, guard against tumours . The survey aimed to assess the role of diet, and in particular intake of monosaturated and polysaturated fatty acids, on ageing and death . The 704 Puglians ate a typical Mediterranean diet in which fat (17.6% monosaturated fatty acids, 3% polysaturated and 8.4% saturated) accounted for 29% of total energy intake . Extra-virgin olive oil provided 85% of the monosaturated fatty acids . The latter were associated with reduced mortality, for all causes, the study said. In particular, 15 grammes a day of monosaturated fatty acids cut deaths among over-65s by a fifth . “This is proof that not only is olive oil a healthy food product but a splash of it a day helps prevent tumours,” said Professor Giorgio Calabrese of the National Authority for Food Safety . An Athens University study also showed recently that the mortality rate among the elderly was significantly lower in Mediterranean countries like Greece, Spain and Italy .